As much as I love face masks, they have to be realxing and I’ve never found that to be the case with sheet masks. 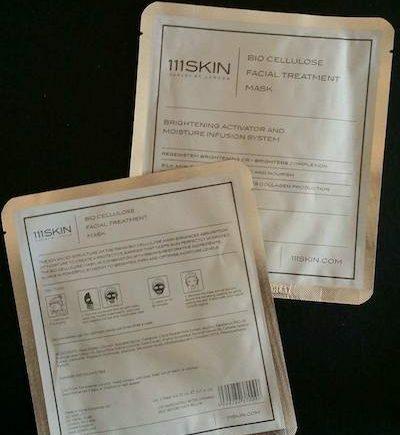 My friend loves the 111SKIN Bio Cellulose Mask and whenever it’s her birthday or Christmas I add one to her beauty box. I’ve been using sheet masks before they became the rage in the last decade, and most have been okay to use, however some don’t stay put and others have too much serum in the sachet that you feel it’s a waste if you don’t use it somewhere useful. I have a huge stash of sheet masks that I don’t get around to using, mainly because you need complete privacy when using them, and also time to use them properly. the longer you leave it on the better and I fidget and am impatient! With some spare time and the house to myself I decided to see what all the fuss was about and cracked one open. Developed by a Harley Street doctor (Dr. Yannis Alexandries ) who is a plastic surgeon, my expectations were high. 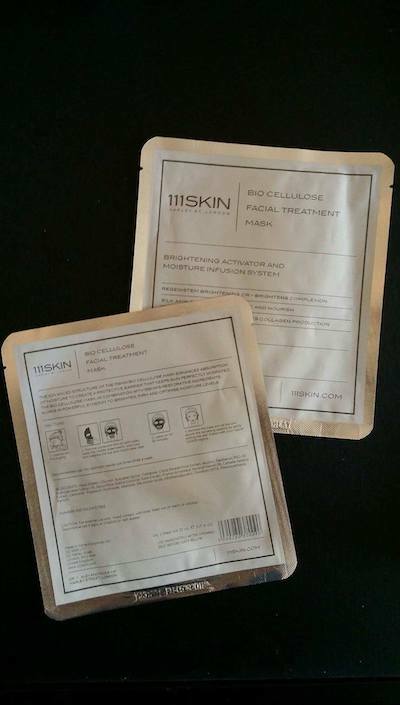 The 111SKIN name comes from the address of the clinic, and the reputation of the brand and clinic is excellent, so can a simple sheet mask really provide a Harley Street treatment? These are top of the range, premium sheet masks priced at £85/$160 for a pack of 5 masks each with 23 ml of serum. That’s about £17 a mask, so is it worth it compared to a sheet mask that costs a third of the price? One thing I find with sheet masks is that you don’t need all the serum inside, so make sure you have an empty jar handy before you even start and snip off the corner and slowly decant (the serum can be very runny) the serum into the jar. You really don’t need the excess as the sheet mask is already well impregnanted with serum. I saved about 10-15 ml of the serum, and used the remainder on my neck. The jar of serum should last a week or so if you use it twice a day, just before applying your moisturizer. After cleansing and exfoliating, apply a small amount of toner or softening lotion before you apply the mask. The softening lotion will rebalance the skin after cleansing and as this is a serum mask you won’t be rinsing off, you need to prepare the skin properly for the most effective results. First of all, the mask is much easier to apply compared to other sheet masks with a double protective film which is sturdy and this makes it easier to handle and apply. Next, the mask is looks and feels like a gel but in fact the fibres are finer than other masks, so it fits snugly and stays put. The space for the eyes was just right, and the nose fitted well, and the mask is contoured to fit just on the chin. So far I am impressed as I can move freely and do things without the mask falling off or slipping. I would suggest adjusting the mask to suit around the nose and then press down any air bubbles to make the most of the mask. The instructions say leave it on for 20 minutes, and I left it on for about 30, but I would say 20 is the minimum required. The face doesn’t feel tight or uncomfortable, and once removed the skin feel soft and smooth, but a little sticky given the amount of serum that has been on the face as most of it has absorbed into the skin. 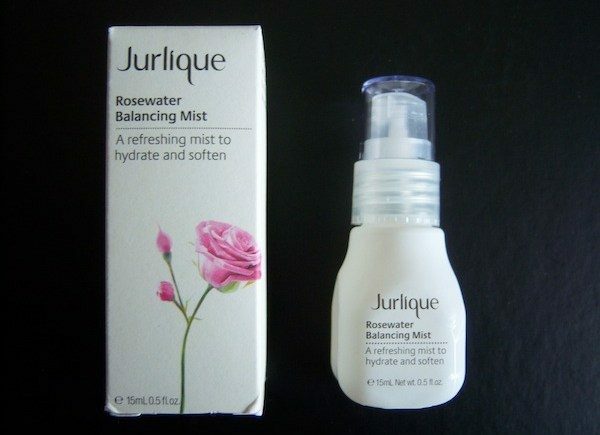 Massage in any excess serum on the face. The mask contains licorice which is an ingredient that helps brighten the skin, and apricot which helps soften the skin and aids skin renewal. It’s hard to tell what effects the mask can have in terms of brightening, but I did feel a small difference in that the skin felt smooth and nourished, and I didn’t feel the need for any moisturizer either, but I applied a small amount to complete the routine. In terms of sheet masks, this one is easy and comfortable to use and is ideal if you want to do things around the house while the mask is on because it doesn’t slip off. The recommendation is to use it a few times a week for optimal results, but I feel sheet masks are fine once a week or a fortnight because they don’t extend to the neck area, therefore they can’t fully replace masks that you apply and leave on overnight or rinse off. I personally like to use a variety of masks according to the season and how my skin feels, and it’s much better for the skin too. 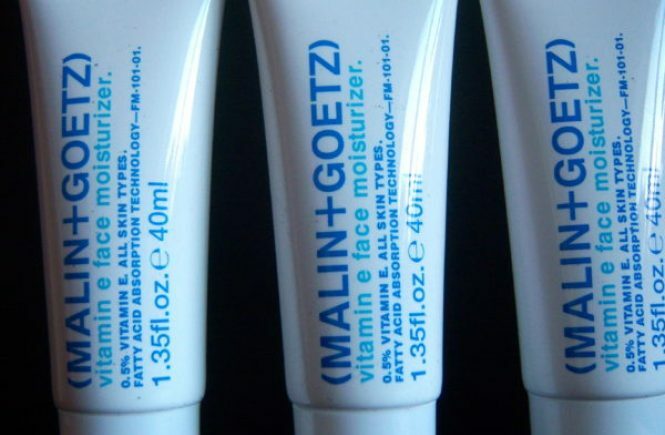 Overall, this is a good mask for those who are busy and need a skin boost, or those who travel and need to keep up their skincare routine on the move or while they are on holiday. This is also a good mask for the first time sheet mask user, or those who have been put off by sheet masks in the past if they felt too claustrophobic as this one feels like a second skin and is very comfortable to use. 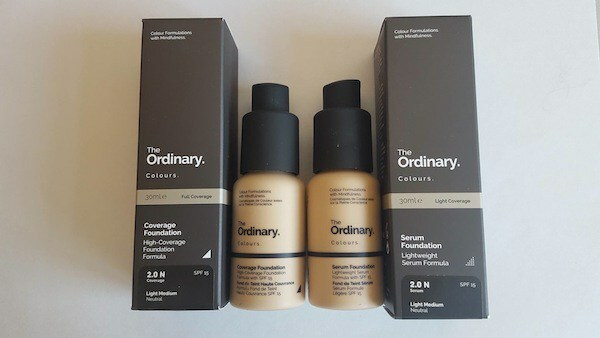 Available from 111skin.com and retailers such as Barneys New York, and SpaceNK.